Welcome to the Check-List of Latvian Coleoptera! The first edition of the Check-List was published in 1997 (Telnov D., A. Barsevskis, F. Savich, F. Kovalevsky, S. Berdnikov, M. Doronin, R. Cibulskis, D. Ratniece, 1997. Check - List of Latvian Beetles (Insecta: Coleoptera). - Mitteilungen des Internationalen entomologischen Verein e.V., Supplementum 5: 1-141). The second edition has been published in 2004. The correct citation of this spurce is: Telnov D., 2004. Check-List of Latvian Beetles (Insecta: Coleoptera): 1-140. In: Telnov D. (ed.) 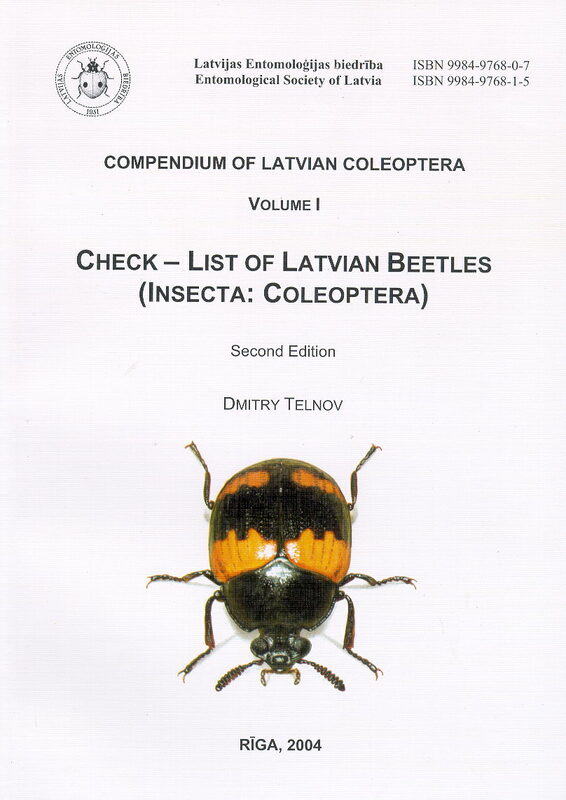 Compendium of Latvian Coleoptera. vol. 1. Riga. Addenda (species discovered for Latvian fauna after the date of publication of the recent Check-List) are listed separately (last updated: 2008.08). Important! If you are using Internet Explorer 6,0 or higher, during opening current PDF file, the message will appear: "To help protect your security, Internet Explorer has restricted this file from showing active content that could access your computer." To open / download the files, please click on the information bar and allow bloked content!